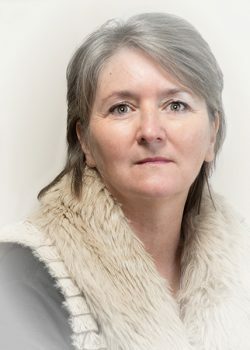 Today, I’m delighted to welcome Jean Gill to Virtual Book Club, my interview series which gives authors the opportunity to pitch their novels to your book club. Jean is a Welsh writer and photographer living in the south of France with two scruffy dogs, a beehive named Endeavour, a Nikon D750 and a man. For many years, she taught English and was the first woman to be a secondary headteacher in Wales. She is also mother or stepmother to five children so life was hectic. Publications are varied, including prize-winning poetry and novels, military history, translated books on dog training (from French), and a cookery book on goat cheese. 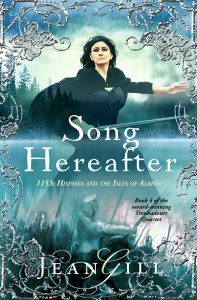 Today we’ll be talking about her latest release, Song Hereafter, book 4 of the award-winning Historical Fiction Series, The Troubadours Quartet. Q: Jean, Song Hereafter was published 13th November 2017, which by my calculations was yesterday, so congratulations! What is it about this novel that you feel makes it particularly suitable for book clubs? There are so many aspects that readers say they want to talk about. My readers tell me that the 12th Century world of The Troubadours is so relevant to the 21st Century, with its multi-faith communities and inter-faith wars; the dilemma of being a good person (especially a good woman) while resisting stereotypes; and a love story against all odds. One reading group recently told me that they specifically chose Song at Dawn, the first book in the series, to learn about early paper-making techniques, but found much to discuss about the intrigue between the rulers of the various section of France and the life of young Eleanor before she married Henry II. The research is solid and little-known so that provokes conversation too. Did some medieval women really hold so much direct power? Yes, they did! Q: I imagine, then, that you’ll have a fairly strong opinion about Hilary Mantel’s request that women writers stop rewriting history to make their female characters falsely ’empowered’ in order to give a ‘voice to those who have been silenced’. I think the keyword is ‘falsely’. My research into the 12th Century kept turning up women who were hereditary rulers; women who were doctors, shopkeepers, and, of course, troubadours. Muslim women in Damascus debated politics and philosophy; female Jewish singers and poets in Cordoba were famous. There was a huge cultural difference between northern and southern Europe and my character Estela’s experience points to the contrast. There is no falsity in the women’s experiences in my books and my worry is still the inverse; we’ve been conned by the stereotype of subjugated medieval women. That’s not what primary sources show. The medieval kingdoms of Barcelona and Aragon, and south Wales. Although Song Hereafter stands alone, it is the conclusion to The Troubadours Quartet so the beginning, in northern Spain, followed on logically from the ending of Book 3, Plaint for Provence. Travelling to Wales took me by surprise but during my year’s research, my troubadours kept showing up there, whenever I pictured them. Fourteen years ago I moved from Wales to live in Provence and there was a poetic inevitability in the story taking my troubadours from Provence back to the part of Wales I know intimately. Q: Has setting the novel in a place that is so well known to you changed the way that you feel about that place? Yes. In my research, I discovered medieval history and personalities that have added background to places I thought I knew. When I next visit Llandeilo, where I’m appearing at a festival in 2018, I’ll see Lord Rhys’ men flying past me on their way to take their land back from the Norman Marcher Lords. I’ll see the ghosts in the goldmine at Dolgellau, and I’ll see Dragonetz and Estela making love in a cave on Llansteffan beach. Very much so. That’s why I spent a year just on research, before writing each of The Troubadours books. Benefits of writing about the 12th Century are that your ‘take’ on a historical character is less likely to offend a living person, and the gaps in what we know are huge, so there is plenty of room for a writer’s imagination. Having said that, readers can be very passionate as to e.g. who Eleanor of Aquitaine did have sexual relationships with! I enjoy the debates that come with writing a historical novel. 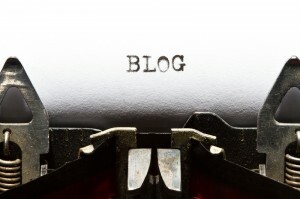 Q: Did your research result in any surprising finds that you were then able to incorporate in your novel? My troubadours are fictional characters living in the real 12th Century so my research notes all the politics and personalities of the time. Each book is set in one year so I am obsessed with 1150-1153, which is a very narrow, specialist window. Reference books often cover 400 ‘medieval’ years and I’ve learned to ignore what’s irrelevant to my stories and to track fascinating characters like Petronilla and Ramon Berenguer of Aragon, Eleanor of Aquitaine, Ermengarda of Narbonne, Melisende of Jerusalem. When researching Song Hereafter, I was very excited to discover El Rey Lobo, the Moorish Wolf King who was an ally to his Christian neighbours in Spain. Winning his alliance makes for a very exciting scene! I already knew of the Warrior Princess Gwenllian in Wales but her sons, especially Lord Rhys, had a winning streak in 1153 that worked perfectly in my story. The beauty of the research year is that I have a grasp of who is where, doing what, in the real world, so that I know who would naturally cross paths with the troubadours, where, how and why. I hate books which name-drop figures from history for the sake of it. Q: As for your choice of era, the 12th Century certainly seems ripe for picking, but is there anything in particular that fascinates you about it? The more I learn about the 12th Century, the more I love its richness of thought, science, medicine, technology, music – you name it! From the end of the 12th Century onwards, Christendom lost much of the learning acquired from contact with Muslims and Jews, but in the 1150s southern Europe was very sophisticated. One of my favourite characters in Song Hereafter is Dragonetz’ friend Malik, the Muslim who would have been King of Zaragoza (Zaragossa) but for the fortunes of war. Q: Julian Barnes says that one of the things he has learned as he grew older is how to manage time in a novel. Have you found an effective technique for this? Journeys cause me big headaches! The troubadours are adventurers so there are loooooooong journeys. Something I came across in my research in French was a diary by a Moorish traveller in the Middle East, and then I read about a Guide to Good Living, written by a medieval French lady for her son, a hostage, for when he returned home. So, in Song Hereafter, Estela writes The Good Traveller’s Guide, for her son. It was fun to write and it breaks up the journey nicely, I think. Q: An early editorial review of I Stopped Time criticised the apparent ease with which my main character deserted her young son. ‘Part of the problem, I know, is different mind-sets.’ How do you perceive the temptation to superimpose our own contemporary values on historical fiction? I had the same query re Estela leaving behind her toddler – as in fact did Eleanor of Aquitaine, to go off on the Second Crusade. You can bridge different values in how you tell your story (for instance, spelling out the responsibility that came with noble rank, above the (perceived) mundane duty of motherhood). You can tread lightly on the attitudes that are most alien to many nowadays (e.g. hellfire religion and racism) You can add a historical note. One professional reviewer took the modern (and personal) approach that Dragonetz and Estela’s relationship is unbelievable because they kept secrets from each other. Her review was on the lines, ‘I would never have…’ You can’t win with such readers, nor with those who criticise your impeccably researched history because it clashes with their received impressions. I just enjoy the passion that history creates and accept that I can’t please everyone. My problem is not getting into the 12th Century mindset; it’s in coming back to the 21st. I think I will always go back there, to spend time with Dragonetz and Estela. It suits me, somehow. The beginning and the ending. I felt under pressure because I so wanted the Troubadours fans to love the last book. There is some technical detail of medieval siege warfare in the opening chapter, plus the political setting in Spain, and I had to make cuts and re-write to make it an easier read. I think I’ll do a blog with the out-takes 😊 The ending is the conclusion to the story of Estela and Dragonetz, and the grand finale of ten years’ work for me, and it’s all about emotion; theirs, mine and the reader’s! When it was right, I KNEW it was right, and yes, cried a bit. Among her many interests, Jean is a keen beekeeper. Q: We want our fiction, like our lives, to end with revelation. Did you save a ‘big reveal’ for what is not only the close of the novel but the end of the series? Want to find out more about Jean and her work? Visit her award-winning website (IPPY Award for Best Author Website) or her blog. 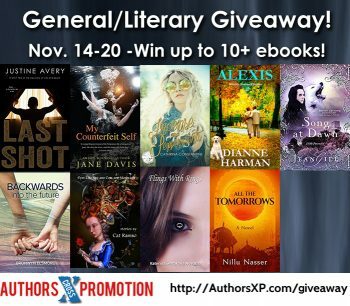 This week, both Jean and I are participating in a General/Literary Fiction giveaway hosted by APX. Jean’s offering is Song at Dawn, the first of The Troubadours Quartet. For your chance to win up to 10 ebooks, click here and enter your details. Thank you for inviting me onto your Virtual Book Club Jane. Very perceptive questions! Really enjoyable and insightful interview.